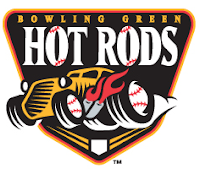 The Bowling Green Hot Rods were 2-4 on the week and have fallen to 13-17 on the half. They are in fifth place in the division, 11 games back from the leader. Overall on the season, the Hot Rods are 44-45. Tyler Bortnick continues to lead the Hot Rods offense while Scott Shuman keeps throwing fire from the pen. Disabled List: Will Kline and Wilking Rodriguez. The Week Ahead: 7/28/10-7/30/10: at Dayton Dragons (8-21). 7/31/10-8/2/10: vs Lansing Lugnuts (17-13). 8/3/108/4/10: vs South Bend Silver Hawks (11-18). Has anyone heard anything about Yates' stuff yet? I know he's old, but he absolutely killed it last year, and he seems to be doing pretty well this year too. Curious whether it's just a case of a polished pitcher who's tearing up the lower levels, or if he actually has decent enough stuff to be deemed a prospect. Yates was great as a reliever and through his first couple of starts, since then he has not pitched that well which can be said for the rest of the Hot Rod starters.